As the ringgit declines and as US quantitative easing reduces, the era of low interest rates and cheap credit via bonds – the drivers of speculative investment – may soon end. Can that lead to the popping of the property bubble? For the past few years, most Malaysians have realised what business journal Forbes has now articulated: Malaysia’s economy, together with high property prices, low interest rates, rising federal government and household indebtedness, shows all the signs of a classic credit and property bubble. The Finance Minister for Malaysia, published the 2014 Budget at Parliament. Among few of the significant changes the country will face, such as the introduction of the Goods and Services Tax (GST), he also mentioned that the minimum price for foreigners to purchase propeties will double from the current RM500,000 to RM1million. The real property gains tax (RPGT) rate has increased to 30% for citizens who sell their units within three years. For disposals within the holding period of up to four and five years, the rates have risen to 20% and 15% respectively. For disposals that took place in the sixth year and so on, no RPGT will be imposed on citizens, but companies will pay tax at 5%. Foreign buyers are subject to a RPGT of 30% on the gains from property disposal during the holding period of up to five years, and for sales in the sixth year and subsequently, a 5% RPGT is imposed. The years 2014-2016 is the crucial time for the repayment of housing loans. This small factor can cause a financial meltdown. Most banks double interest rates from 4.25% to 8.5% per month if you fail to pay your installments for three months. Many people may default on their loans and market value of properties held by banks will decrease. The International Monetary Fund (IMF) has warned of another possibly disastrous housing crash given that property prices are still well higher than their historical averages in many countries in relation to incomes and rentals. The world financial institution says the situation has emerged as one of the biggest threats to economic stability. 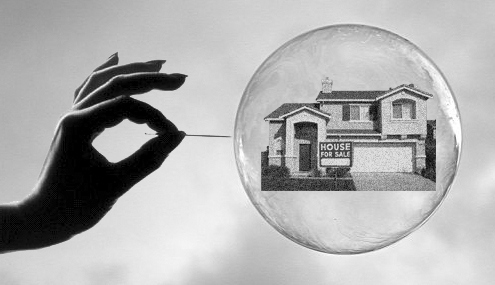 Is Malaysia faced with a risk of a property market bubble and should we be worried of a damaging burst of the bubble given that the inflated prices of property apparent in the last two years may not be sustainable? However, CB Richard Ellis Malaysia executive director Paul Khong does not predict any serious bubble in the market, specifically this year, and further predicts the market to continue to march ahead towards the second half of the year. In my opinion the Malaysian property bubble is not a question of “if” it’s a question of “when”. I myself have been shocked at the property prices that people are expecting. I visited a 4 bedroom property in Ampang the other week and walked around a property that needed a new drive, new marble flooring, no air-conditioning, no lights, a new kitchen, a new bathroom, it had dry rot on the balcony, needed new swimming pool tiles and a whole lot more! Literally everything and the cost of this dilapidated half finished home……. RM3.4 million for a property that was not in a gated community and in a rundown road. Anyone with sanity would conclude, that for USD1 million they could get much better deal in the UK or America. I have already sat on the side lines at some distressed sales here in Kuala Lumpur and I have seen units in my own condo go for RM1.2 million, for 2,600 square feet, my home is situated in the center of KL and an identical unit was valued at over RM2 million two years ago. This condo is around 6 years old, still looks modern and is a 15 minutes’ walk to KLCC. This same residential block recently sold a penthouse which was 6,400 Sq Ft at auction for RM2.4 million; a distressed sale from an expat that was sold the dream! In my opinion, the cracks of the Malaysian property market are not just starting, they are erupting as we speak; with a number of factors such as GST being implemented, higher mortgage rates, the weakening RM and expats leaving the capital. This all means weaker demand and eventually the property bubble will burst. Property agents say to me that the market is fine; however, when you get to speak to a more honest and experienced agent, they will open up. A large number of agents agree that the home prices are ridiculous and that the market needs a correction. The well-known property websites that rent and sell, are all inflated and have some ridiculous values put on them. This is not the fault of the site, it is certain agents/owners that demand silly prices. You can negotiate apartments from RM10,000 a month for RM5,000 a month, so how can you trust what is listed? There is little honesty on these websites and in my opinion, they look to take advantage of the unsuspecting consumers and people with little knowledge on properties in Malaysia. 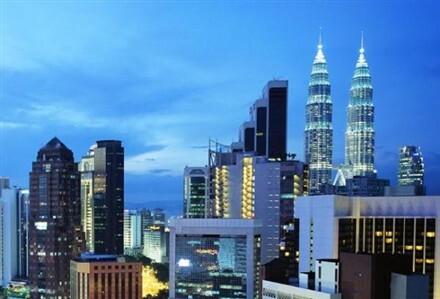 So why are prices doomed to fail in Kuala Lumpur? To start, the expats are diminishing in KL and its surrounding areas and so is the demand for overpriced properties. Another realisation is that the larger oil and gas companies are now giving their expat employees a monetary package, so they can go and hunt for a property and negotiate their own price. Gone are the days where big oil and gas firms have a set budget for property and pay RM15k for a property worth RM8k a month. Agents had a field day with this and this fueled unrealistic rents. However, these days are now numbered and rents are very low indeed. Now that this RM15k is paid directly to staff, they are being a lot more careful on squandering their own pay; why pay RM10,000 or RM15,000 per month when you can get nearly 3,000Sq Ft for RM5k unfurnished or RM6k furnished? The property market here is very unstable and simply googling the bad news and negative posts will open up a realm of information. Please remember that the agents and companies that post the positive property news and figures, do have an agenda and that is to make as much commission from sales and rentals as possible, so painting a positive picture is the best course of action! The above is just my humble opinion on the property market in KL and I stress the importance of research; you yourself can pick up a bargain, but you must take your time and shop around. If you need any additional information, please feel free to contact me. Property transactions dropped 11 percent in 2013, according to the National Property Information Centre, the most since a 32 percent slump in 1998, when Malaysia had its first recession in 13 years. What do you think about new property project that have show 90% sold of the phase? It depends on what projects you are talking about. Can you give me some more details? This was 2 years ago. I am planning to buy in KL, and I know the prices are inflated but can’t seem to find a reasonable price on an Condominium i’m interested in buying. Please send me some information on how I can contact you so we can meet on my next trip to KL along with some properties you have in your sales portfolio. Thanks for contacting me; I have emailed you a few questions. Most malaysian doesnt even know that property can depreciate and doesnt even know a thing what property bubble is. I read the edge every week and from my readings, over the past few quarters, property transactions is decreasing. However revenue is still growing. So as of right now we still safe. 5 years from now i dont think so. Do remind that property bubble is not always a bad thing. It depends on the severity of the bubble. Actually the propety is not 90% sold as their declared, they keep the property to keep the price up.. that is just for the purpose of market speculation. Yes I agree with Stuart and Afiq. I personally think that is absurd to spend so much money on a habitat in a country where many infrastructure is still lacking its ineffiency (e.g :public transportation, pedestrian way, etc) and with the average income of the local citizens, it would take them a lifetime (if not two) to pay up their debts of a house that they could not afford at the first place. I’ve noticed that even in the rural/suburb area, a small 1000sq feet apartment costs a whopping 500k! a double storey would be double that price. Even if the person earns 10k a month, they would still be struggling! (You dont use all your income on a house repayment, do you?) And if you do some research you can easily know how much the average salary of a Malaysian employee is. And frequently I often overheard that some owners were so proud about their purchase that they THINK they had the right deal at the right time at a right place, not knowing that they really can’t afford it from the beginning. If their “flipping” strategy does not work out within their perceived timeframe, they will be fraggked*)*%&!)%!. For God’s sake, if you happen to have the desire to invest, why not donate it to our Malaysian animal shelter or plant more trees or make some small monetary difference in this stressed out society? You certainly won’t get back your ROI but you certainly WILL make an impact in Malaysia which we all would really appreciate it. Karma people, karma 🙂 We need some good vibes yo! Hah! I guess i was one of the very lucky young Malaysians that can still afford a house in this time (Thanks, Santa Claus). I live in a somewhat new neighbourhood but it is getting dated as it has been 4 years since i’ve moved in. The occupancy rate is still very low from the day I got here. One of my neighbours leased his ROOMS and I was told that he charged 700-1300 PER ROOM (depending on size) and I came across one of their tenants and he showed me around, I must say it is a total ripped off ! The owner even converted the living room and made partition and charged 700 for it! NO AIRCOND! Is this even legal at the first place??? They are living in such a terrible condition! And as it seems, it is no surprise that this is a common practice (Go google for room rentals in Malaysia, you will know), and for a budget at this range, there is really nothing much a tenant can ask for except some simple furniture and very minimal facilities (again, this is just my observation, my claim is definitely not 100% correct) Sorry, I digress, but it seems nobody is writing about this, I just have to rant it for now because it is a lonely neighbourhood i live in here. Just a jest. Living in Malaysia (unless you live in a gated community/high end area), there is really not much external or internal intrinsic value at all.. you know, it feels like we are missing that aura..that vibe… It even feels very hostile sometimes to take a simple walk with our dogs within our own neighbourhood (despite being a responsible dog owner who carries a poop bag). Some dogs in the neighbourhood don’t even have the chance to get out of their compound and chained up their entire lives, to give a “sense” of security to the homeowners. I don’t know.. i just feel that we are missing something.. something so subtle.. Just in case you know, I once lived in a rather poor neighbourhood like that before I finally moved out by my own, I was not born in a rich family and I worked my way up to study abroad and later on dropped out again and searched for my spiritual epiphany and later on , did came back and worked in a few firms in Malaysia with no qualification (And yes, in those days living in those rented room 😉 and finally I did some *coughs* sheninigans and got where i am now. Our economic system (the whole world) is designed in such a way that the gap between the rich and poor will be significantly spaced, not knowing that someday our greed will destroy our one and only habitat in this world (the giant fishbowl, earth) I hope the world will someday realize this and work towards humanity rather than monetary, including schools , religion and law makers! Love to all yo, cheers. But I say for all newlywed couple, all generation Y, all who wanted to get a house now, do not buy. Let it burst… When it does, it’s back to the price per square feet, bricks and steel. For those who are experiencing Wealth Effect now, when your house price quadruple… please do a financial health check, the numbers you perceived can be deceiving. Good article indeed. I don’t undertand how the bubble is being sustained for so long. Now i keep getting private messages for properties with discounts of 20 -30% off from where they were a few months ago. I expect it to continue to drop because even at thesecurrent prices, they’re just way too high.